Club Penguin Newspaper issue#259 is out now! The first page says all about the new catalog coming tomorow!You better head to the Gift Shop tomorow to see what CP has planned for this Halloween! In this page we see that they say something about mysteries….But I think that is normal for a Halloween Party!And also the new party hat is gonna be a mystery too before the 24th of October!I will try to give you a sneak peek of it if I can find one! 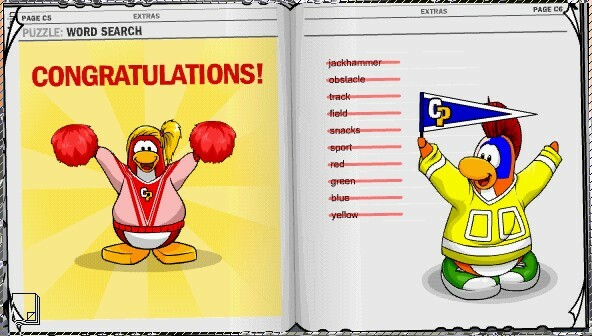 Congratulations penguins!You did it…with cheats that is!LOL!And now to my favourite part-The events! Staring October 1st you will be able to buy cool new Halloween outfits from the Gift Shop! Starting October 5th you will also be able to play cart surfer with you black puffle as an assistant and also Cart Surfer Stamps will be reported too! Starting the 8th of October don’t forget to visit the stage for the newest CP play-Secrets of The Bamboo Forest!It is gonna be a really cool play! Starting October 8th expect the new Penguin Mail to be released!It is gonna be probably stage,halloween and igloo postcards! Find the collectible pin hidden now until October 7th!Don’t forget that the new pin is in the Mine!Last day to collect it! So penguins,I hope you enjoyed this weeks newspaper cheats!See ya later penguins!And by the way don’t forget to comment below! Last week we asked you about your most epic sporting moments. My most epic sports moment was at the Sports Party when I was racing in the marathon. I was winning the race and another penguin pulled up behind me. We raced and raced all the way to forest when I picked up in front of him and eventually won the race!!! I got the gold medal and felt so proud. That is my most epic sports moment ever!!! Thanks Dylbill – totally cool! You may have heard that a special Halloween themed Penguin Style comes out this Friday. We know that lots of you plan your spooky costumes in advance. So this week we’d like to know – what’s your favorite scary style? So penguins,what was your most epic sport moment?Please cooment below!Bye! Greenocool’snew hit counter and how to get a free cool hit counter! Now you should see some counters examples if you scroll down on the page! Then continue to the next step! Simply Copy and Paste this text to this place if your using Worpress:DASHBOARD–>APPEARENCE–>WIDGETS–>TEXT—>PASTE IT HERE! Thanks for reading another one of Greenocool’s tutorials!Hope it helped!Good luck with creating and putting your own designed hit counter into your website!See ya later penguins! Hey penguins!September is coming to an end and it was very fun with all the fair games and the stadium games!But a new month is coming and for it there are other great things planned…and that’s October!!! So penguins,lets start with the events for this month! Halloween igloo contest is coming October 15th as every year!I can’t wait to see what the entries will be! Starting October new stamps are also coming in Cart Surfer and other stuff! Club Penguin’s 5th Anniversary Party is starting the 24th of October!Woot,the island is turning 5 years! The Halloween Party starting again this year includes a new maze called the ”Dark Chamber” for members! I am sure even more exsiment will be coming in the newspaper’s edition tomorow!I am also exsited about all the stuff in October coming! What do you think will be in the newest Penguin Style coming next month? What do you think the stamps are going to be for? What do you think the 5th Anniversary Hat will look like? Do you think the Halloween Party is going to be fun and filled with lots of exsiment? Please comment below these questions!See ya very soon penguins! Club Penguin New Treasure Book Series 10! The first page has a jester costume! The second page has a rain deer costume and a tree costume!I also have them not unlocked! Cool!the second page has the original christmas costume and the Ballet items! Page 4 contains some items from te teams! And page 5 and 6 has even cooler items! Nothing is new in this series but they’re still cool!Bye! 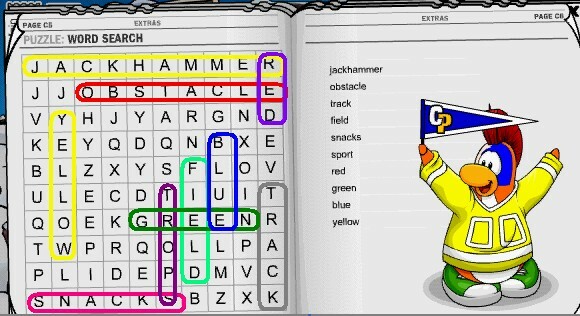 Club Penguin Weekly Field Op 16 Cheats! Then go to night club! Go to the dance lounge. Go near the blue certain. Congratulations!You’ve done this weeks field opp 16! And also Gary The Gadget Guy said that next week it will be a puzzle and the prize might be a tool!I think it will be for our spyphone!What do you think?Comment below again!See ya later! Club Penguin now available in India! 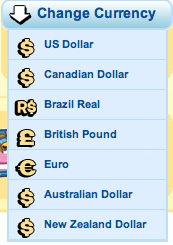 Hey penguins!Guess what?Club Penguin is available in another country:India!Lots of kids in India could play CP but they didn’t knew English very much so they just couldn’t chat,become members and other things!But now Club Penguin made it easier for India and also now CP is accepting Indian rupees now! I think that CP will be posted in other countries in the future1What do ya think?Comment below!See ya later!